Up and Running for the 2011-2012 Season! If you see me give me a shout, I'm always down to do some laps. For now you can check out my Vimeo here and Look out for some more posts coming your way. Check out their website for information and updates, and you can watch their epidodes from last year here. And you probably don't need me to tell you this, but the park crew is killing it right now. I was up Monday night, new features include super fun cannon pontoon, elbow kink in a new place, and a soon-to-be-open rebuilt #4 jump on the cut line. And Y2Plays are now on sale too, so get up here! 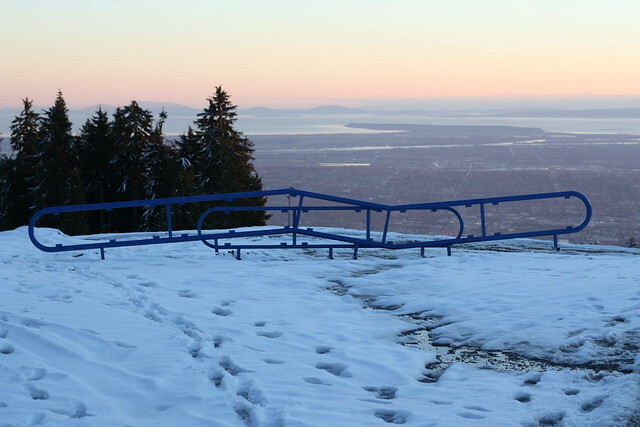 As I'm sure you saw, Vancouver has recently been blanketed with a covering of fluffy white snow. And what do we do when it snows in the city? 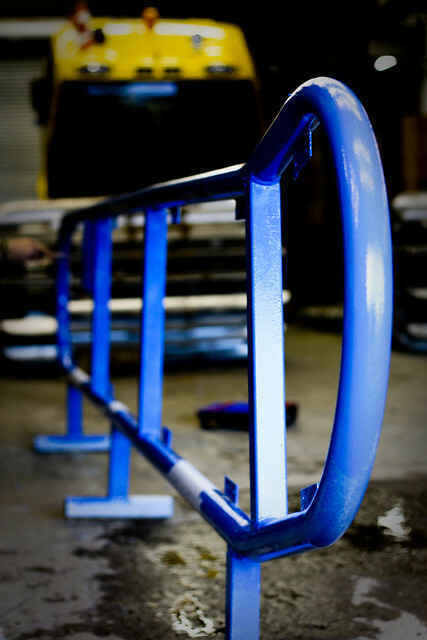 Slide some handrails! On Sunday, with a crew composed of Myself, Shawn Greensides, Christopher Peake and Ben Funk, we headed out to do a little bit of urban. Though it turned out to be a little wet, we still had a great time, and hit some features we've been looking at for awhile. Everyone got some tricks they were stoked on, and all in all it was a great day! Below is a little edit of all the great crashes from the day. And with all this new snow, Grouse is in PRIME condition. Bye for now! 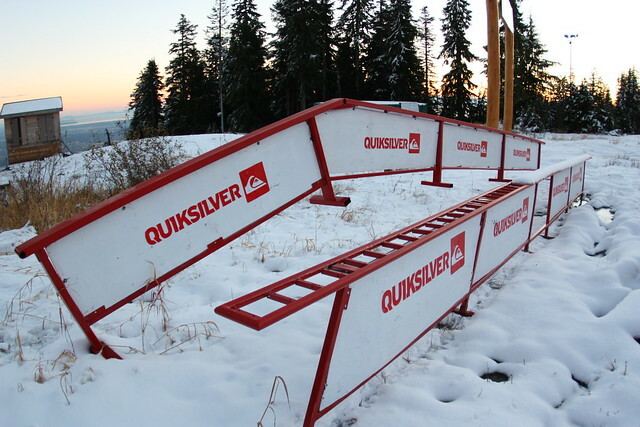 What up Grouse, Anybody who's looking to step up their jump game and learn some corks this year should check this out. It's a quick trick tip from Armada's Chris Turpin, who I was lucky enough to join on the chair and get some help with my own tricks. His coaching method seems to help people progress very fast, and he is very knowledgeable. If you really like his coaching style and want to meet him yourself, he coaches every summer at Momentum and can always be seen around Whistler in the winter. And I have just come from a day in the Whistler parks, and I am proud to say Grouse's rail lines at least as good at Whistler's, even better in some aspects. Props to the park crew. Also returning for another season will be Jason Macfarlane and Jeremy Cox. We would like to take the time to thank everyone who applied and if you are still interested, please apply next year. Expect the posts to start flowing with some awesome content, so sit back, relax and enjoy the season! We would have had this up earlier, but we had a lot going on. Check out these photos from Jason McFarline and a video from Jeremy Cox. 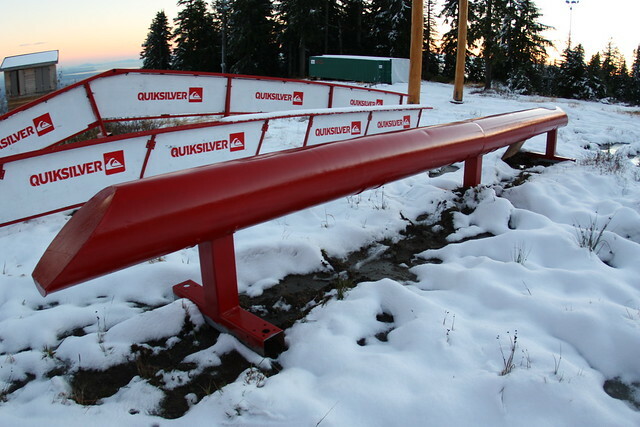 Get Your Sunny Spring Laps In! So for those of you that not only enjoy skiing but like too have a little fun off the hill as well i recommend watching this video. Basically its a video blog of pro skier Ian Cosco's travels. That doesn't sound too amazing but if you knew the guy you'd know that your gonna have a good five minutes of laughs during this video while Cosco and friends make complete fools of themselves while looking so prooo! Check it out. Keep it real Grouse! Hey everyone! Grouse has been killing it lately, and there have been a lot of opportunities to free ride as well as hit up the Cut park and Paradise jib park. 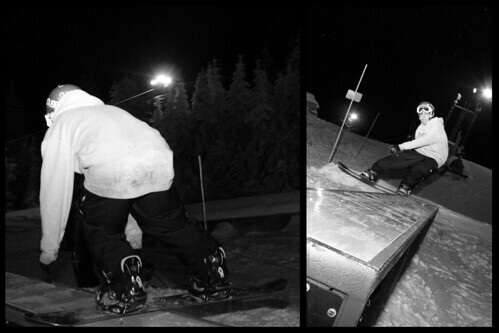 Last night, we mostly looked around for natural jibs and fun little side hits on expo. At one point, Reid Alex, Anthony Cervantes and I were riding up the Greenway Express chair. A small child decided that it would be a good idea to hop onto our chair last minute. He managed to get on half way, and we all tried to pull him up. By this point we were a little ways up, and without him saying anything, we had no idea what he was trying to do, so we held on. After about two meters, he jumped off and ducked just in time for him to miss the chair that was coming towards his head. I'm going to have to say that at the time it was one of the most bizarre experiences of my life and thank goodness he's okay! Keep your kids on a leash! Haha, don't actually. This was one of the exciting points of the evening, as well as scoping out some fun logs and natural stalls. By 7pm, the sun was starting to set, but the snow remained slushy and fun! It's awesome to see everyone having fun on all the local mountains, as well as Whistler! Heres a video of one of the best days in Whistler ever! 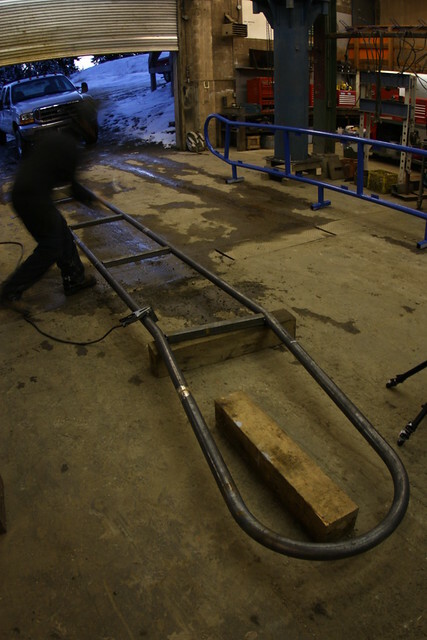 Most people switched skis for snowboards and vice versa and had one of the funniest days filming ever. Ex-Grouse locals Liam Casey, James Anderson, Spencer Watson and Ryan Belich killed it, and make sure you watch to the end to see the banger! Enjoy!